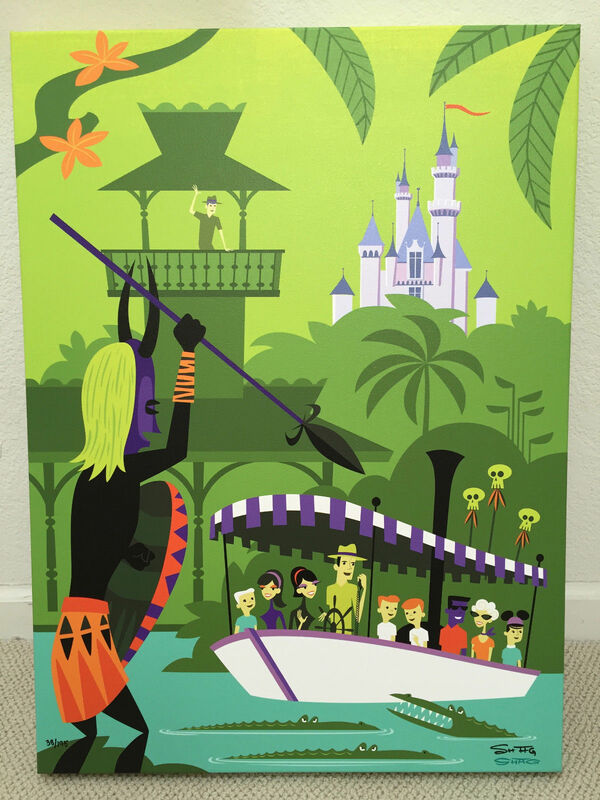 The WonderGround Gallery in the Downtown Disney District of Disneyland in Anaheim, California held an artist signing event with Josh Agle on Saturday, July 25th 2015. 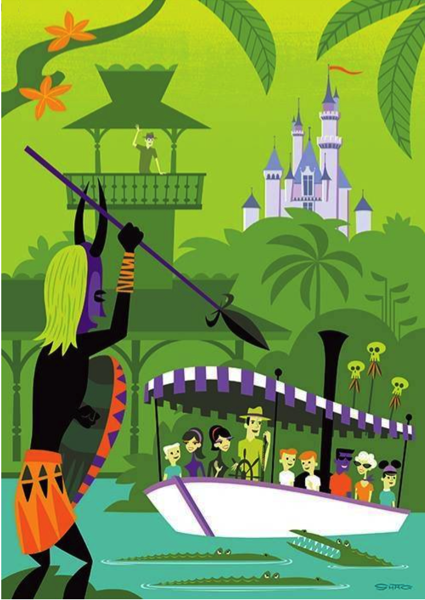 The event celebrated the diamond anniversary of the Jungle Cruise ride at the Disneyland Park. For this sixtieth year, Shag was commissioned to paint an acrylic on panel piece called A Perilous Adventure. 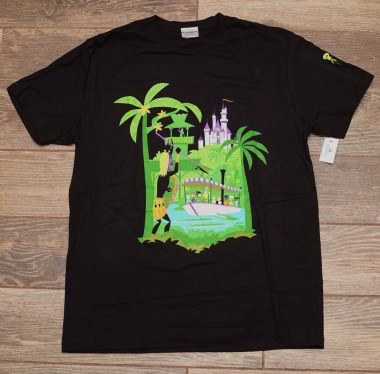 The original painting was used by Disney WonderGround Gallery to produce a range of prints, glasses, and a t-shirt. 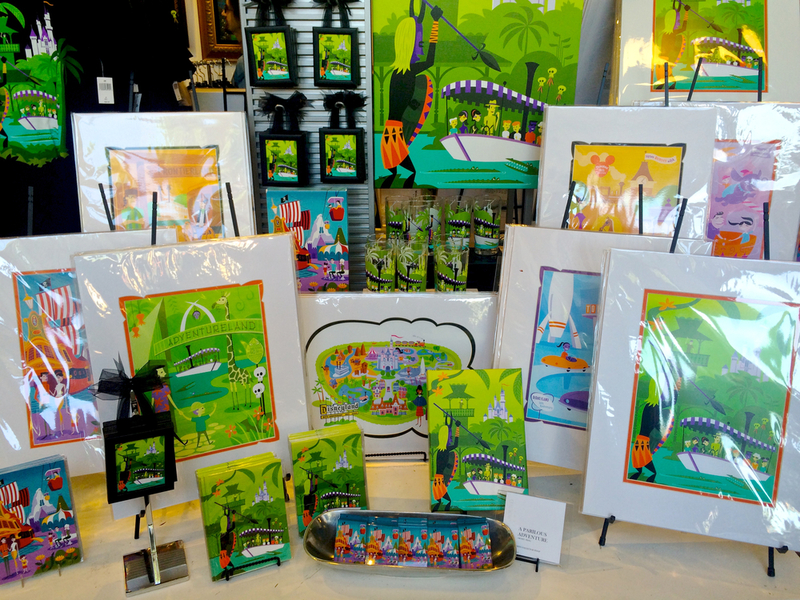 Josh Agle attended the event as a special artist appearance and signing, from 11am to 1pm at the WonderGround Gallery. 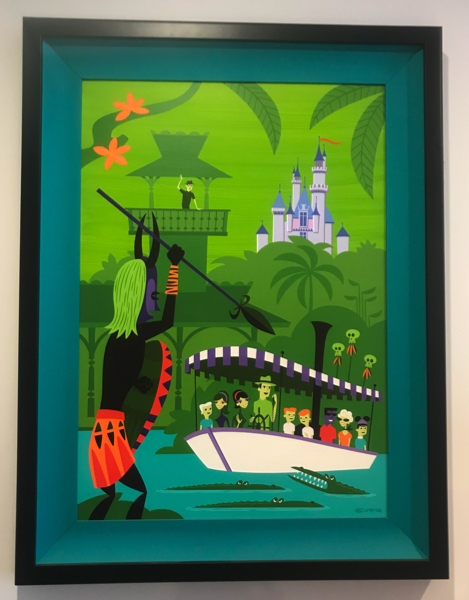 The event also included some previous Shag pieces including the 50th anniversary lands serigraph prints and the Morning in the Magic Kingdom print from 2014. The largest print for A Perilous Adventure is the 17” by 24” giclée on canvas which was produced in a limited edition of 195 pieces plus 5 artist proofs. 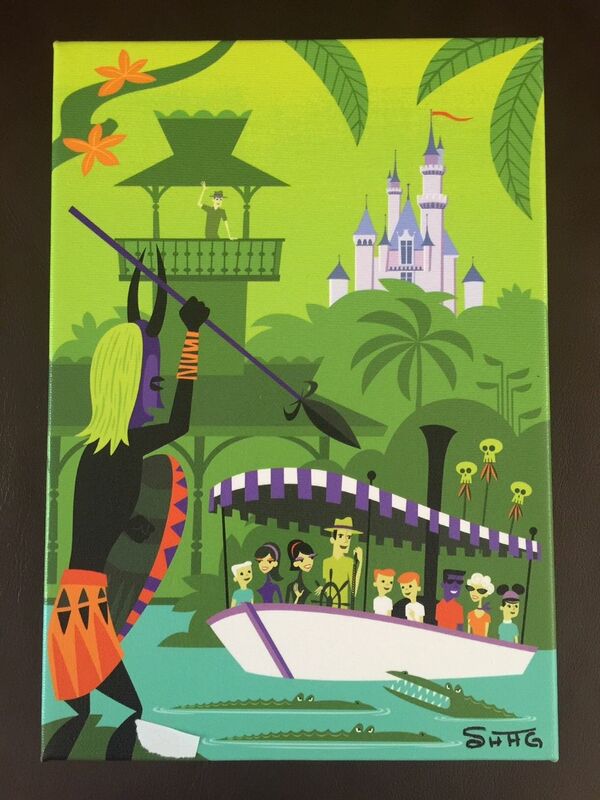 An information card on the back reads “Do you remember the thrill you got as a child when crocodiles surfaced, natives threatened you with spears, and the shrunken heads of previous Jungle cruise passengers were boldly displayed to warn you against going any further upriver? 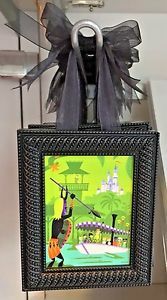 You didn’t want to admit it, but you were just a little bit scared, even though you were in Disneyland. I tried to capture that feeling with this piece of art“. 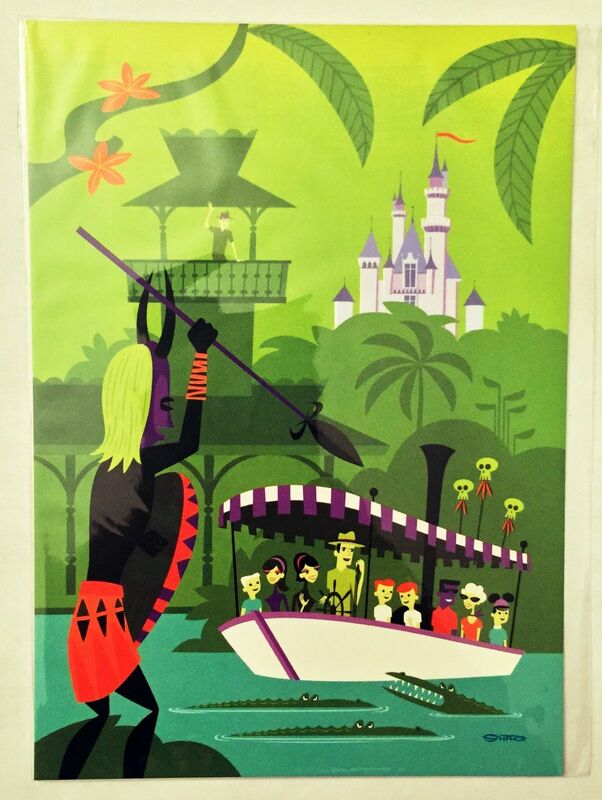 A certificate of authenticity is also included with this giclée print. 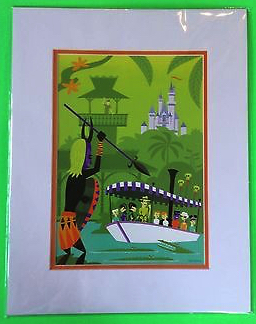 Disney WonderGround Gallery also produced a deluxe double-matted print for A Perilous Adventure that measured 20” by 16” (in matte)/13″ by 10″ (image). 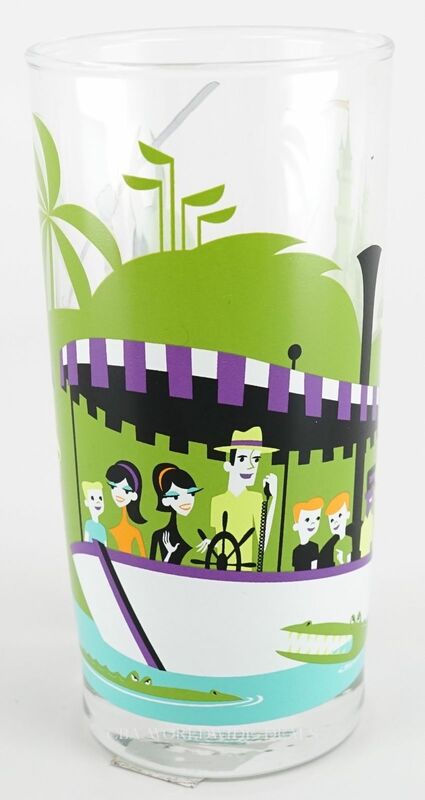 The print was made in a limited edition of 295 plus 5 artist proofs. A mini-canvas measuring 7″ by 10″ was created in a limited edition of 295 pieces plus 5 artist proofs. 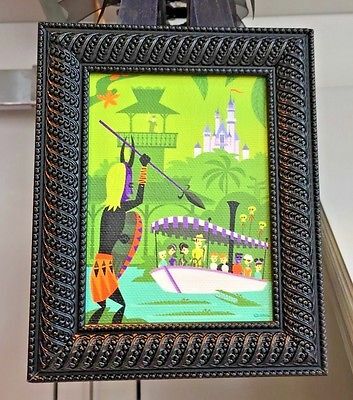 A 4″ by 5″ mini-framed print was created for the A Perilous Adventure image with a hanging black ribbon. A postcard was also produced measuring 5″ by 7″. 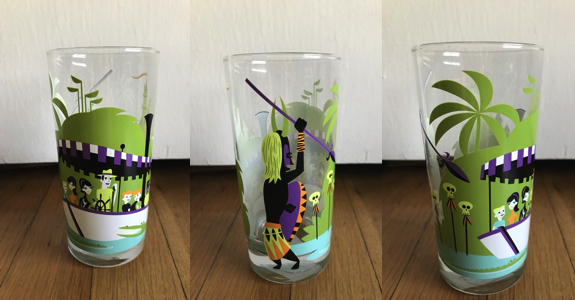 The A Perilous Adventure glass is 6″ tall and retailed for $14.99. The original acrylic paint on wooden panel original painting is shown below. 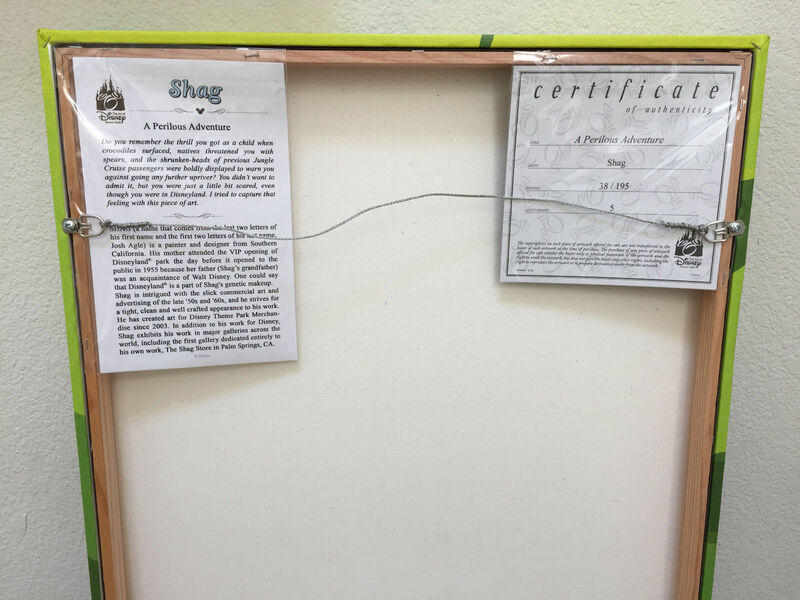 And a huge thank to Susana for providing a picture of this wonderful Shag painting.